Alright everyone, the new year has been among us for a bit of time now and the phrase “new year, new me” have been buzzwords ALL OF JANUARY. Now, I get it-given the start of a new year, you feel empowered, motivated, and driven to do all that you haven’t done before and address all that is on your “to-do-list” that have not been tackled yet. In hindsight, it makes all the sense in the world to be ready to take on 2019 by force and go for it in a brand new way. But, what if I advised you to not be a brand new you, but in fact BE YOU on an ELEVATED level? I’m about to be a little poetically abstract in this post, so rock with me. See, my challenge with “new year, new me” phrase and reality is that it implies a level of downplaying all of who you were to begin with. As though, being a brand new person is what is needed to accomplish new/old goals. As though, dismissing who you once were is true liberation. As though, the way to be your best self is to not be your old self at all. As though, picking up where you left off is not the answer. My challenge with “new year, new me” is that there is not enough recognition and celebration of who you once were, to truly embody who you will CONTINUE to become. A continuation in any form means that you are in fact picking up and continuing from a position you were once in. What is wrong with embracing who you once were, flaws and all and building from there-new year or not? Because in fact, the person you “once” were is the one who provides the road map and infers the trajectory to which you will exist, fail, and thrive ; contributing to priceless life lessons. There are power in words because words are powerful, period. But what holds more weight than words are actions because actions illustrate the words that can and can’t be described by action in order to ensure that you feel and see them in execution. Thus, in that same breath, it is not about you being brand new in a new year, but about you being the same you, but DOING differently. In actuality, while your physic may change, you will forever be in the same actual body-cherish it! Focus on 1. leveling up, 2. building out, and 3. maintaining your foundation. Understand that it is not solely about you changing, but about what you are doing and how it is being assessed. Changes and modifications will hopefully be made with every new day, though who you are at your core is consistent. Stop saying, “new year, new me” and say, “new year, same me, different level.” so long as every year and every experience provides context for growth for the better, even when pain and frustration is encountered. If you are forever disregarding who you are to be brand new, growth can’t happen in a sustainable way. If you evolve however, you are changing holistically and building off of who you are presently, while building daily for the future. 1) Level Up. 2) Build Out. 3) Maintain Your Foundation. 1.Level Up. Assess where you are personally, professionally, academically, socially, and spiritually. While assessing where you are, consider what you are doing and how you are doing it, with a particular focus on how you can improve. “Leveling up” is all about reflecting on what you used to do, and committing to improving it. Personally, if you had goals for self-care last year, keep them in mind but ask yourself how can you follow-through more on those goals? Is it by adding more gym days to your schedule, longer minutes/hours of meditation, incorporating more hours to read/listen to books at your leisure, celebrating more “small” accomplishments, saying “yes/no” more, getting your finances in order, deciding to marry the love of your life and expand your family, and/or scheduling more time to be with your family and friends? Professionally, assess your strengths, limitations, and skills every 3-4 months. Now that you assessed your skills and all that you have accomplished in your years of work thus far, is this the year you are going to ask for the promotion you believe you deserve? Are you going to truly update your resume/CV, transition into the career you always dreamed of/study what it would take to transition careers? Are you finally going to record all that you have accomplished in your job to determine the areas you would like to grow in professionally and invest in your professional development? Or, is this the year when you are going to take on the risks and start on your entrepreneurial journey or step it up within your entrepreneurial endeavors to bring your vision to new heights? Make it happen by prioritizing getting to know people in positions above where you currently are or where you would aspire to go, and maintain meaningful relationships with them. Academically, is this the year that you are going to apply for a terminal degree, the moment when you are going to do all that it takes to get your article published, the time when you are going to go back to school and finish the program you started a long-time ago, the moment when you are going to fulfill your academic requirements by putting in your best work and not settle for average? Look back on your steps of growth in order to move forward, establish deadlines, meet those deadlines, and determine who you need to include along the way to hold you accountable. 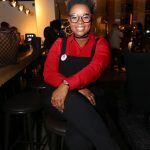 Socially, is this the year when you are going to attend networking events and actually network with people and FOLLOW-UP? Is this the time you are going to attend the events you have always wanted to, even if your friends are unable to participate with you? Are you going to take a chance on dating and be less guarded? Are you going to put yourself in positions to meet people who are outside of those you typically meet? Take the risks to establish and maintain relationships with people who will add value to your well-being within different elements of your life that you have identified as significant. Spiritually, are you going to pray more often; cater to the needs of your soul differently; and/or read more spiritual scriptures and apply the teachings in your daily routines? Will you attend a spiritual retreat, explore new religions, engage in conversations that fuel your spiritual being share your spirituality with the world, and more? Let your trust in faith guide you if it is important to you that you do so. All of the above is possible when discussing leveling-up. Doing so requires you to reflect on what you are already doing, but the focus is improving it. 2. Build Out. Reflect on your team and who is in your intimate circle and the next circle outside of that. Determine the individuals who are most actively present in your life and who you would need to add into your circle to help hold you accountable to be the person you would like to be. Building out is all about filling in the gaps you have in your life-often focused on people you can add or build deeper relationships with regarding the scope and depth of the relationship. When thinking about building out, reflect on the north, south, east, and west for directional impact and influence. North: who do you need to know and believe are thriving in areas of their lives in ways that you would like to improve and develop further on personally? East & West: who can you build alongside in this life’s journey because they are currently going through the motions you are encountering as well? Growth is a personal process, but it has its moments of comfort when others can empathize with you? South: who you can mentor and give back to as you hone in on skills and life lessons that can help someone else be where you are as you also elevate yourself? Take the time to center in on who you are and all that will help to make you better. Take risks and reach out to folks-you got this, GO FOR IT! 3. Maintain Your Foundation. Who you are at your core serves as your moral compass. You know when you are the best or worse version of yourself. If you don’t, you need to take multiple steps backs to determine when you started losing track of who you are and what your purpose is. As a human, there are certainly moments in time when you may lose sight of who you are given life circumstances, but you must do your best to find your way back to what grounds you. Your moral compass guides your heart and provides a frame of thinking for your mind that leads to you behaving the way you do. While your life decisions may differ based on circumstances, your foundation and what you are grounded on typically stay more or less the same. Again, your foundation describes you at your core. Are you family/community oriented, spiritual, hard-working, driven, persistent against adversity, goal oriented, action based, one who focuses on positive outcomes, etc.? Staying true to who you are at your core allows you to feel and be empowered in your decision making, which in turn impacts your happiness as you fulfill your purpose. Again, the new year is here and every 12 months the time will come again to re-evaluate yourself and all that you would like to do with your life (should you wait to do so every 12 months only). Progress, possibilities, and growth are truly endless daily. This year, focus on who you will be, not by starting over or being brand new, but by being your present self and working diligently to build off of who you are already. Embrace your challenges and set-backs, understanding that they impact who you are today and provide context to the way you navigate the world. I am proud of you for wanting to be the best version of yourself. Keep at it and if you experience hurdles, do not focus on what you wish it were, focus on what it is and trust that it is all part of the process. There are lessons to be learned from the experience(s) you encounter-discover ways to continue moving forward, not stunt your growth and progression. YOU. GOT. THIS. Happy New Year! New Year. Same You. Different Level! 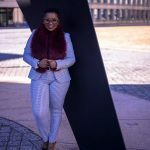 To continue staying connected with me and my future blog posts and speaking engagements, please be sure to sign up for my mailing list at BernadineTruth.com. Great blog piece right here. It fits my sentiment exactly. We are constantly a work in progress, in being better than we were the day after. Thank you for your words. Precisely, it is about embracing ourselves as a work in progress more than anything else. Wishing you continued growth and self-love.